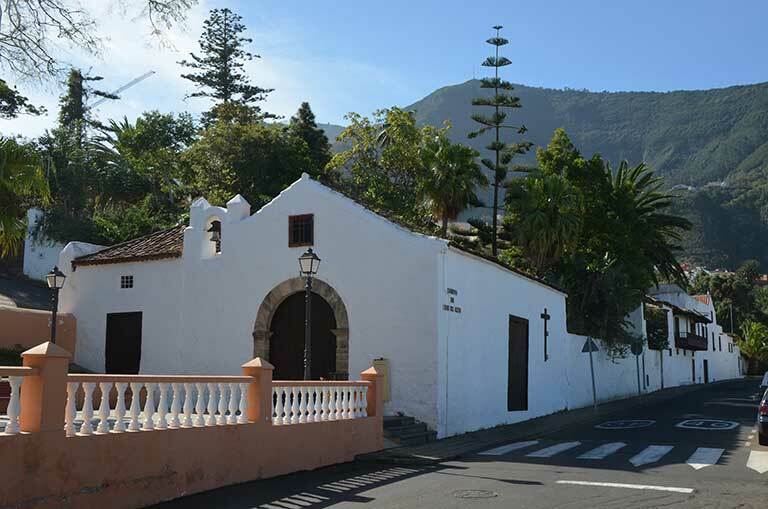 On this route you enter the heart of the northern municipality of Los Realejos, situated in the Orotava Valley, in a unique location and which features leafy, varied vegetation and more than five centuries of history. The roots of Los Realejos go back to pre-hispanic times, when these lands belonged to the aboriginal kingdom of Taoro. According to the tradition, this was the scene of great historical events; this is where the guanches surrendered to the Castilian conquerors and is thus the place where the Island became part of the Realm of Castille. 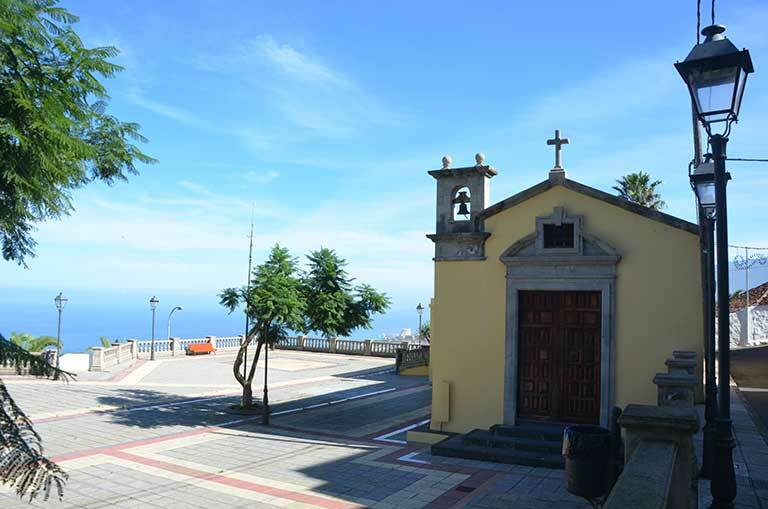 Here the victors established one of the first settlements on the Island and in the area of Upper Realejo (Realejo Alto) they built the first religious shrine on Tenerife, the Church of Santiago Apóstol (the apostle James). Apparently this is where the guanche kings received the sacrament of baptism together with other aborigines in the year 1498. The village was devoted mainly to agriculture and, to a lesser extent, to cattle farming. Reflecting this is the installation after the conquest of a sugar mill on Los Príncipes estate in Realejo Bajo (Lower Realejo), owned by one of the conquerors, Alonso Fernández de Lugo, and which is said to have stood in the so-called King's Field, the name by which the fertile territories belonging to the Mencey (guanche king) Bencomo were known. 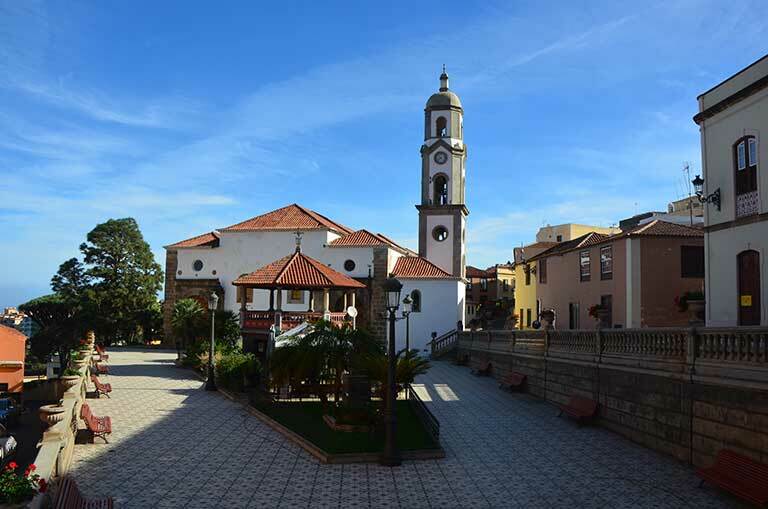 You will discover small villages that retain all the essence of times past, such as Realejo Bajo, which has a well-preserved collection of beautiful, historical buildings which has earned it the status of a Site of Cultural Interest. On the route you will see different estates and religious buildings, reflecting earlier periods of splendour, a consequence of the economic power which grew as traders settled and different religious orders became established. However, the development of the town itself and new town planning requirements have meant that much of this heritage has remained scattered among new buildings that have sprung up. 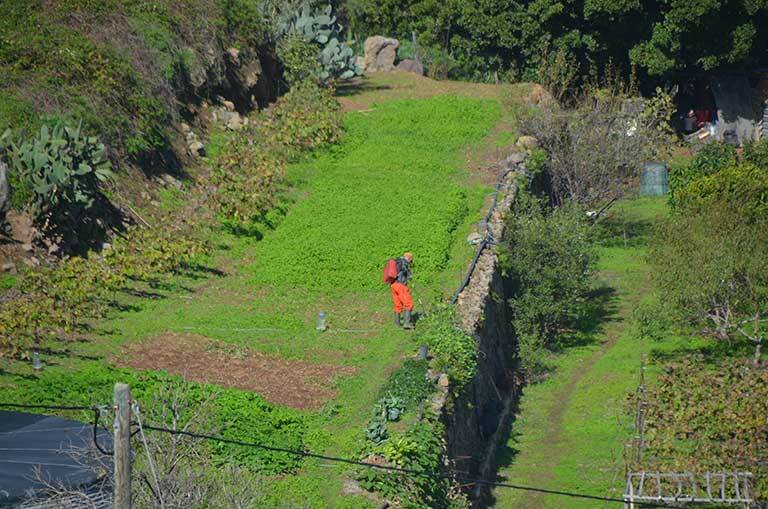 As a result, Los Realejos does not have a well-defined and preserved historical centre, except for Realejo Bajo. 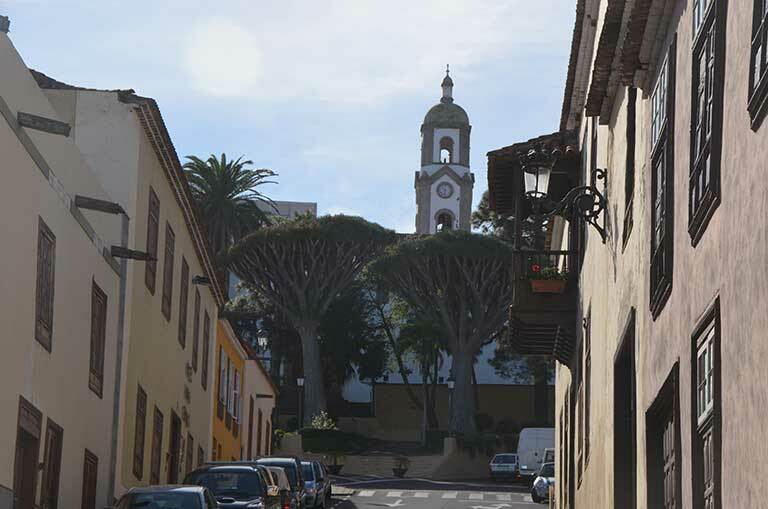 Los Realejos is the birthplace of the famous writer, biologist and historian José de Viera y Clavijo. His birthplace can be found in Realejo Alto (Upper Realejo), on the street that bears his name, at No. 101. This is a two-story house which retains only the original facade as its interior has been completely altered according to the needs of its inhabitants. 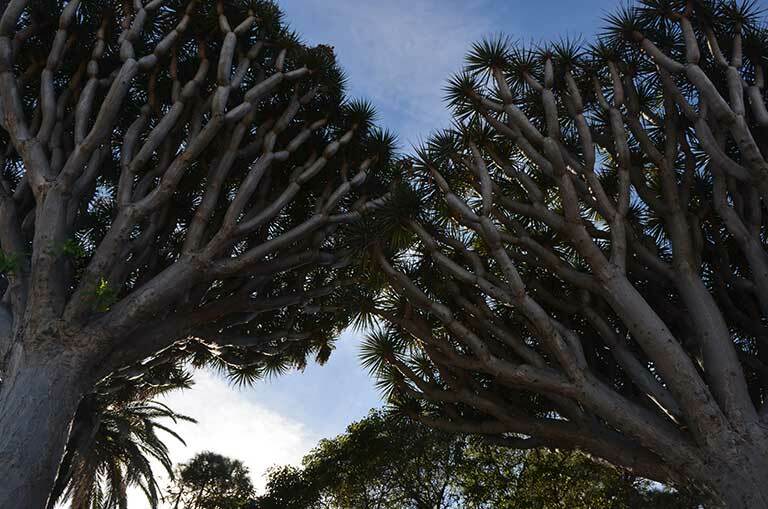 The municipality is also of great natural and scenic interest with many protected natural areas like Los Campeches, Tigaiga y Ruiz, the Rambla de Castro, the Natural Monument of Los Frailes Mountain and the Barranco de Ruiz (ravine), a Site of Scientific Interest, perfect for taking part in activities in nature, such as hiking. 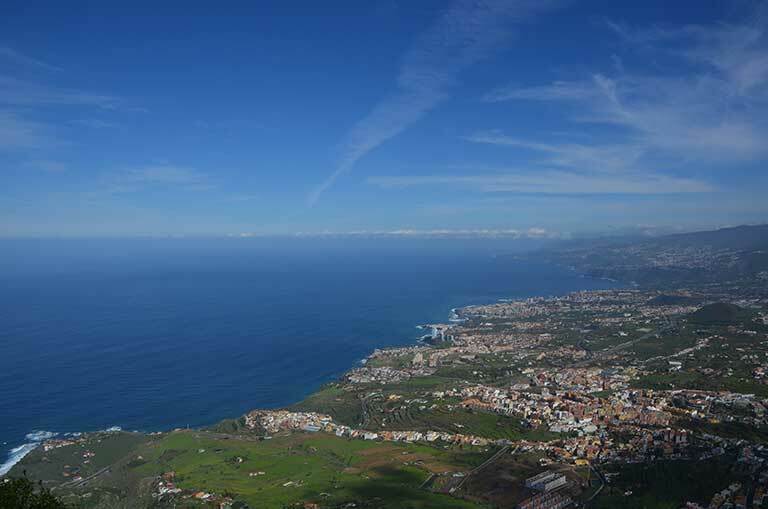 The many viewpoints provided also bring us closer to this reality, offering views of the Orotava Valley and allowing visitors to discover amazing panoramic views of the town, observing its urban growth with historic buildings and a green, rugged landscape with a steep coast consisting of cliffs and deep gorges that scar the territory from the mountains to the sea. 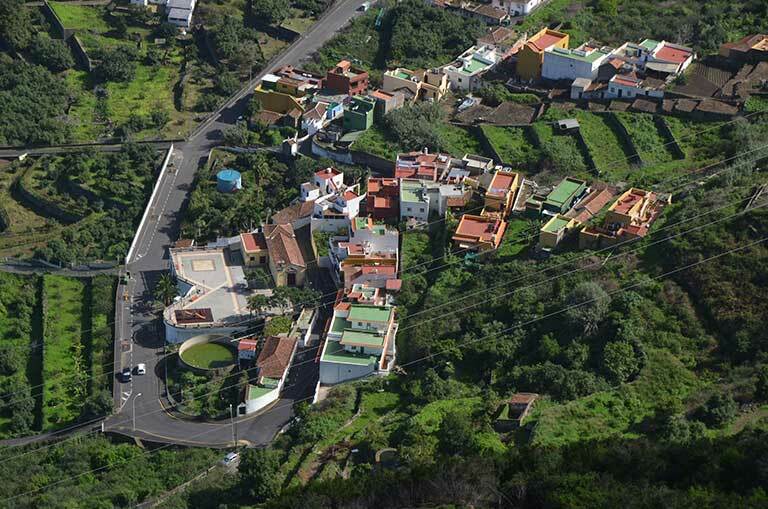 In Tigagiga, the neighbourhood at the foot of the steep mountain of the same name, you can become acquainted with all the charm of small towns in the north of Tenerife. The town is known for its peace and quiet which give it a special charm and make it the perfect place to relax and unwind. Its origins go back to the XVIth century, one of the most important historical sites in the municipality of Los Realejos. Traditionally devoted to agriculture, in the village some notable estates were established, among which the most outstanding are the Hacienda de La Fuente, which houses a public clothes washing place, the Hacienda de La Era and La Coronela. 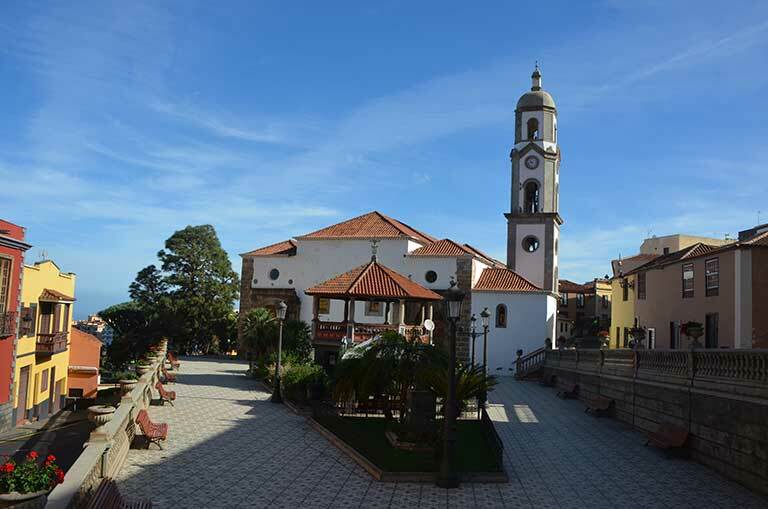 At the heart of the village stands the small church of Nuestra Señora de La Concepción, from whose square you can see a wonderful panorama. Around the church you will find a number of homes which feature a curious decoration of their facades, in some cases, drawings done with vivid colours. While there are now various buildings of more recent construction that have transformed its traditional appearance, the town continues to maintain the essence of the rural world. The El Lance viewpoint is located on the cliff of Tigaiga. Even the road to reach it offers spectacular views, an authentic sample of the rich landscape of this corner of the Island. The viewpoint pays tribute to one of the best known historical episodes in the area. Tradition has it that the Mencey Bentor leapt into the void from this very spot, preferring death rather than surrender to the Castilian armies. A statue of the mencey commemorates this event. 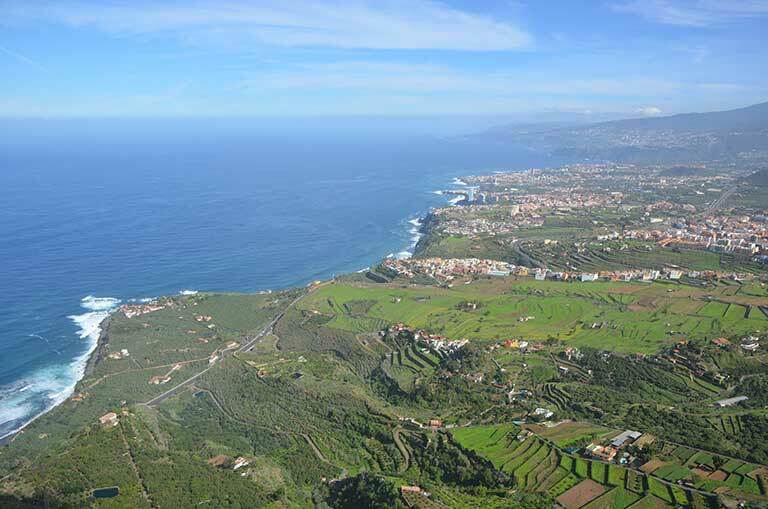 Nowadays this viewpoint offers a landscape of great beauty from which to survey spectacular views of the Orotava Valley. 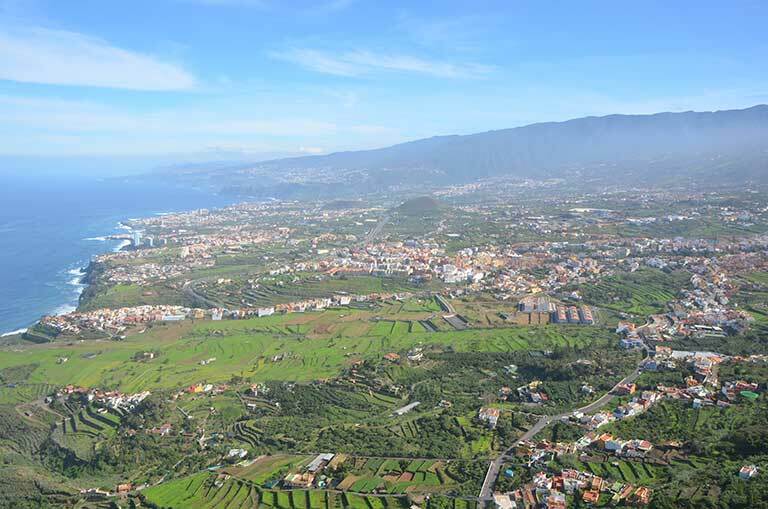 Its location makes it a valuable lookout point, allowing you to perceive the main features of where the population of the area is concentrated, marking the various urban areas and outlining all the northern coast of Tenerife. The viewpoint cafe and restaurant are also worth a visit. 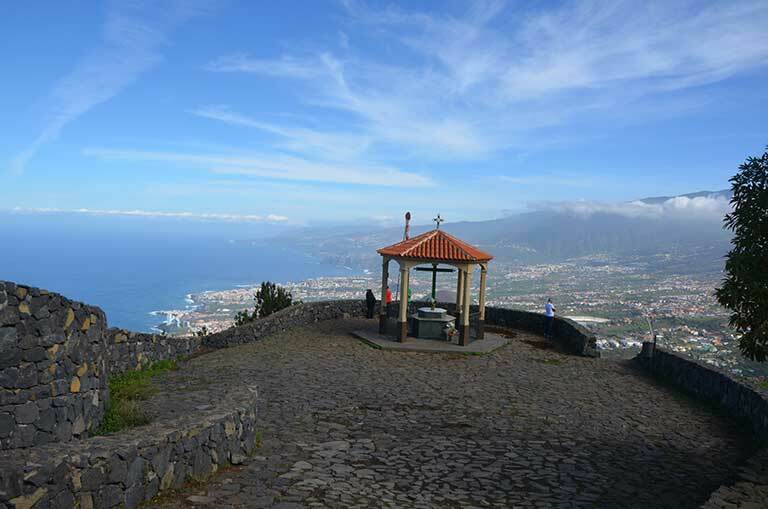 The La Corona viewpoint is located at a considerable height above sea-level, some 780 metres, and offers breathtaking views of the entire municipality of Los Realejos. 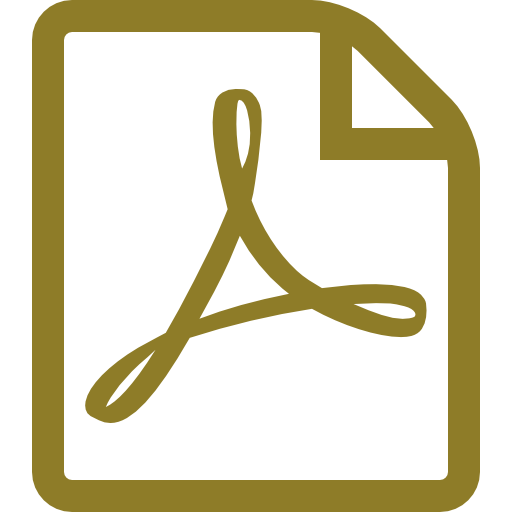 Access to it and its location give it a special value, as it permits you to see in detail the agricultural areas of the municipality's upper reaches. To get there you have to cross Icod El Alto and its higher ground, entering the Protected Landscape of Los Campeches. It is characterized by a rural landscape, consisting of widely-scattered, traditional houses and numerous farm plots, many abandoned, which in their day were filled with potatoes and cereals. 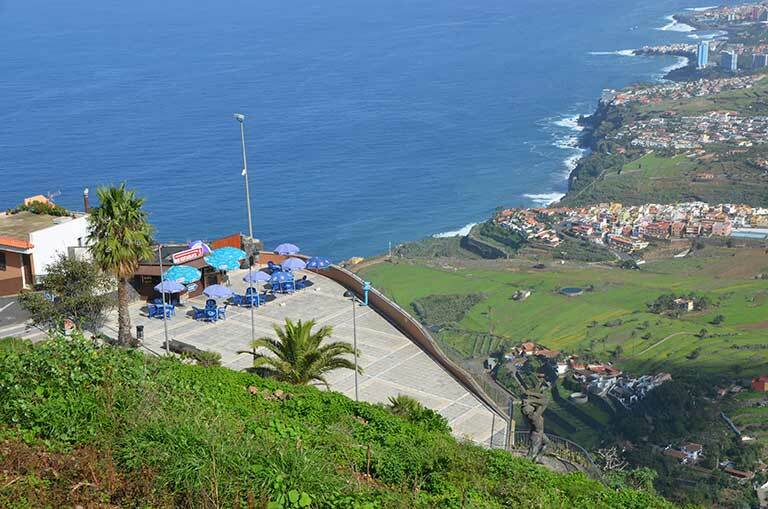 In addition the viewpoint offers a wonderful panorama made up of a green backdrop, dotted with numerous villages and marked by an original topography, of great landscape value. It has tables and a roofed memorial cross, next to a ramp for paragliders to take off. 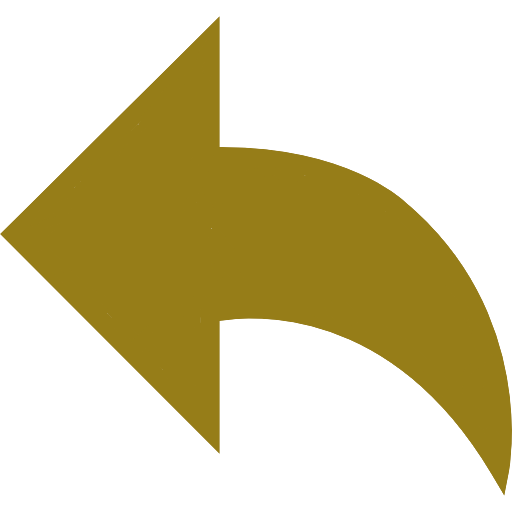 Dirección:On the main road La Orotava-Palo Blanco-Benijos: signpost on the left-hand side; or on the main TF-821, La Orotava-Las Cañadas, turn-off on the right-hand side along a forest track.